With so many SKUs and so little time it’s tough to manage your product content - especially if you have no reliable system in place. As much as your brand tries to stay consistent across all your retailers- mistakes are bound to happen if you’re still using spreadsheets. Here are some unfortunate mishaps that are unfortunately not April Fool’s jokes. You can also audit your own content by using our free product grader tool. We made this list so you could avoid making these mistakes and pranking your own customers with bad product content. In order to avoid embarrassment, we have blurred out brand names and omitted sharing which retailer we found the error on. This interior door was published with the dimensions 206316496 x 206316496, and we are pretty sure that’s not fitting any door frames out there. Because of this mistake, this brand is missing out on an opportunity to show up when a shopper filters by size. In addition to avoiding errors, be sure to pay attention to each retailers extended attributes. 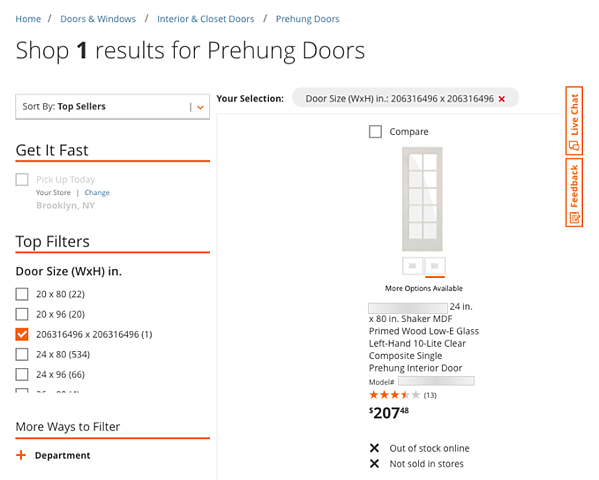 This additional, sometimes optional, product content can help you show up in filtered navigation customized for a retailer's site. 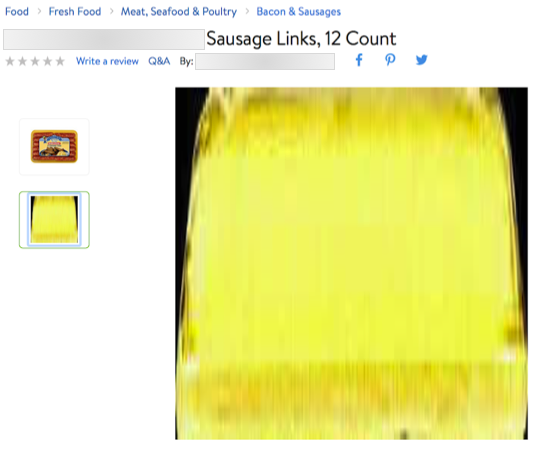 This package of sausage links magically disappears in their second photo on the product detail page, and instead is replaced by a blurry yellow photo of an unknown object. This mistake may make consumers feel uneasy about purchasing the item, and unsure of what exactly they are getting. More images of your product will outrank the competitor 53% of the time. Unfortunately the shopper that was looking for a diamond necklace got something much different when they searched for it. Make sure your products are categorized correctly across all your retailers so you don’t lose sales. On most retailers, product title plays a big role in how easy your product will be to find. So what’s the message here? Make sure your product content is engaging and accurate! We are here to help you in the process. We released a the product content grader so you can find out how your brand is doing on Amazon and Walmart.